AfNOG and AFRINIC’s Workshop & Meetings was re-branded as the Africa Internet Summit (AIS) in Serekunda, The GAMBIA on 15 May 2012. 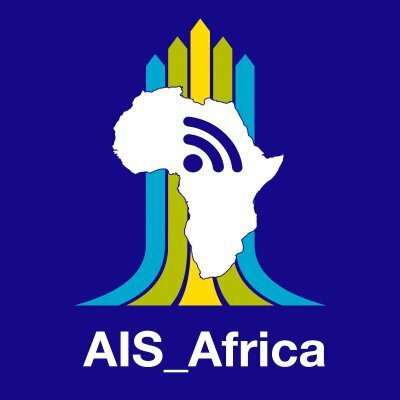 Subsequently, the first AIS was held in Lusaka –ZAMBIA from 9 – 21 June 2013 and the third one was held in Tunis, Tunisia from 24 May – 5 June 2015. The Africa Internet Summit (AIS) is an annual showcase for development and changes in the African IP technical community. The idea was to move from the annual AfNOG/AFRINIC Event to an African Internet Annual Summit by keeping the original format but making it more business and development oriented to better meet the needs of Operators and Stakeholders in Africa. Several documents relating to the requirements for hosting the event are available below. Call for Hosting The Africa Internet Summit is now open. Organisations interested in hosting Africa Internet Summit - (AIS 2017 to 2020 are invited to submit proposals no later than 30th January, 2016. Proposals should be sent via email to host-apply@afnog.org, secretariat@afnog.org, and meetings@afrinic.net. Information about AfNOG is available at http://www.afnog.org and information about AFRINIC is available at http://www.afrinic.net. The Africa Internet Summit (AIS) is the pinnacle event combining training, conference, and networking for the Internet industry. The annual Summit attracts internationally renowned speakers to share the latest innovations in Internet protocol. (IP) technology, experiences and emerging issues from the Industry. The AIS is also a prime international arena for advertising Information and Communication Technology (ICT) services and products. Some events to be held under AIS are Unix Boot Camp, A week-long set of AfNOG Workshop & Meetings, AROC Workshop, AfriNIC Public Policy Meetings, Internet Society Standards Africa Day, AfREN Forum, Web Day etc. AfNOG - The African Network Operators Group is a forum for the exchange of technical information, and aims to promote discussion of implementation issues that require community cooperation. The goal is for coordination and cooperation among network service providers to ensure the stability of service to end users. The annual joint Africa Internet Summit (AIS) event includes a one day Boot-camp, a week-long set of workshops, three days of technical tutorials, one day AfNOG meeting, one day for Internet Society Standards Day (ISOC Day) a one day for the AfTLD Meeging, a one day AfREN meeting and three days AfriNIC Public Policy meetings. A number of these meetings, all but Boot-Camp and workshops are run in parallel. The venue also needs to be available during the week before the workshop (referred to as "set-up week"), during which instructors lay cables, install equipment, and otherwise prepare for the workshop. Please refer to the draft agenda below for the dates of meetings and room requirements. Please note that this agenda is not the final and changes will be made as the Event draws nearer. Please see http://www.afnog.org/ for further information about past AfNOG Conferences, and http://www.ws.afnog.org/ for information about previous workshops. Please see http://www.afrinic.net for further information about past AFRINIC events and what the agenda looks like. The following office, classroom and conference space will be required. Later sections of this document give more detailed information about each of the rooms. Please refer to the meeting agenda for a better understanding of the room requirements. Office-1: One large office for the AfNOG / AfriNIC Secretariat and the staff. This office should be a safe place and have at least two keys available to both organisations. It must be available from the beginning of Set-Up week to the end of the entire event. Office-2: One medium office for AfriNIC Hostmaster consultation. The office should be big enough to accommodate two Hostmasters and two visitors. It should be near the public meeting areas. A Registration Area: An open area for participants. registration. The registration area must be spacious enough to accommodate a long table as well as allow registrants to queue for the event. NOC: One small room for the network operations centre. This must be available from the beginning of Setup week to the end of the entire event. Classrooms: One medium to large classroom per track. Usually we run Six tracks – (5 English Tracks and 1 French Track. However for a French speaking country we recommend an 8 Track Workshop with 3 in French provided the Local Host is willing to provide funding support for this. We also require one classroom for AROC training making a total of 7 or 9 Classrooms depending on how many Tracks to be run) These rooms will be required from the Thursday of the setup week and during the workshop. The Set-up should be in classroom style and be able to accommodate 30 to 35 people. Some classrooms may be re-used for tutorials and side events after the end of the workshop. Most of the classrooms will however not be needed during the conference. One of the classrooms will continue to be used as classroom for two to three days for AFRINIC specific training. Tutorial rooms: Three (3) classrooms for three days of technical tutorials which will be given after the workshop, but before the conference. The tutorials rooms will be used in parallel so all of them should be available at the same tine. We may re-use the workshop classrooms for the tutorials depending on their size and position. We may not need them during the conference. Conference room: Large conference room to accommodate approximately 250 people. It should be available no later than the evening before the conference begins. Terminal room: It would be useful to have additional space available for a "terminal room", where about 5 computers would be set up to allow workshop students and conference attendees to access the Internet. This should be available during the tutorials and conference. It would be nice if it could also be available during the workshop, but this would significantly increase the space and equipment requirements. Working group and BoF meeting rooms: AFRINIC will need three rooms for BoFs and its working groups Meeting for half day. The rooms used for the workshops and/or tutorials can be re-used for this. The following infrastructure is shared between all the workshop tracks, and is also used during the conference. Space for visitors, office equipment, and storage (preferably lockable) for items handed out to students (such as books, T-shirts, timetables, tourist maps of the city). Would be good to have Local Sim and Top Cards available for those who so require. Copying facilities: Access to a high-capacity copying machine. A registration desk near the conference room with access to a room /storage space nearby is required. it would be nice if the office could also be reasonably close to the hotel reception and the main conference room. To be close enough to the meeting rooms. The Internet connection should preferably be terminated in the NOC. 2Mbps of bandwidth to the Internet. More bandwidth would be nice. The workshop will require an IP address allocation of at least a "/22" in size. Workshop instructors can work with the host organisation to fill in the necessary application forms. The connectivity and address space should be available from the beginning of setup week. It may be useful to have more than one link to the Internet, and to use BGP routing. If anything like this is done, it will need careful planning with the assistance of workshop instructors. The NOC, the office, the classrooms, and the terminal room (if there is one), will need to be connected together in a computer network. Ideally, the conference room will also be included in the network. It may be possible to do this using network cables that are already installed. Failing that, AfNOG will install temporary cables during setup week, and remove them at the end of the event. The workshop is subdivided into several tracks, where each track has approximately 20 students and approximately 5 instructors. The plan for the 2009 & 2010 events is to have four tracks: three in English and one in French. Each workshop track requires one medium to large room with the following characteristics. That implies four such rooms for the entire workshop. Tables: Each classroom requires 14 or 15 tables for equipment, students, and instructors. 10 of the tables will be used for students (with two students per table), and and the remaining tables will be used for instructors and additional equipment. Each table should be about 2 metres long and 0.8 metres wide, so that it can provide space for two people, one or two PCs (depending on the track), and several other items of equipment. The tables should be stable enough to hold this expensive equipment safely. Enough chairs for all the students, instructors, and a few visitors. Workshop Infrastructure (NOC etc): (3) Three PCs. IMPORTANT NOTE: Provision should also be made for a few spares, because equipment failure is almost inevitable. Serial port: at least one working serial port. At least 10 additional network interface cards should be available, so that we can configure a few of the PCs to have two or three network interfaces. It's highly desirable for all the PCs to have identical hardware (main board, disk drive, video adapter, network adapter). If this cannot be achieved, then having identical hardware on a track by track basis is acceptable. The PCs do not need to have any operating system or other software pre-installed. Instructors will re-format the disks and install whatever operating system and software they require for the workshop. The PC supplier should be prepared to re-format and re-install their own preferred operating system after the end of the event. The PC hardware works well with the operating systems chosen by the instructors. In recent years, instructors have chosen to use FreeBSD, and they are likely to choose FreeBSD or some other unix-like operating system in the future. Power extension adapters (power strips) with correct local power plugs. We need about one power strip (with 4 to 5 outlets) per one or two PCs; we probably also need 3 to 5 longer power extension cords per track; the exact number depends on many details. Sufficient power cords for all the PCs and monitors. Power cords for additional equipment provided by AfNOG. This equipment is used all over the world, and is often shipped without any power cords, or with power cords that are inappropriate for the destination country. A little more than one additional power cord per student will be needed. Category-5 UTP Ethernet Cable: 1 to 3 boxes (where each box contains approximately 300 metres or 1000 feet of cable). The exact amount depends on the distances between rooms, the availability of pre-installed cables between the rooms, and the availability of ready-made cables in shorter lengths. RJ-45 male plugs, for making network cables: Quantity 100 to 300, depending on the availability of ready-made cables. Tie wraps (also known as cable ties): Large size (30 cm) quantity 100; Medium size (15 cm) quantity 200; Small size (10 cm) quantity 200. Gaffer tape: Approximately one large roll of 5cm-wide gaffer tape per track, for neatly securing cables to the floor. At least one additional roll of gaffer tape if we will have to install temporary network cables to link the various rooms to each other. (In other words, a total of 3 to 5 rolls.) Note that genuine gaffer tape does not leave any sticky residue when it is removed after a temporary installation. Duct tape must not be substituted under any circumstances. Each of the four tracks will require the following audio/visual equipment. Flip chart with stand and markers. In most cases, the equipment and facilities used for the workshop can be re-used for the tutorials that take place on the day after the workshop ends. In most of the case the room used for the tutorials will be re-used for the BoF and the Working group meetings with the same Audi-visual equipments. The conference will require a meeting room with sufficient seating capacity and audio-visual equipment, as well as simultaneous translation between the English and French languages. In most cases, the classrooms used for the workshop cannot be re-used as the conference meeting room, but some of the audio-visual equipment may be re-used. We will be providing wireless Internet coverage in the conference room. For this to be possible, the conference room will also have to be included in the network cabling that connects the NOC, office and classrooms. Headsets to cater for 200 to 250 participants. 6' x 6' projection screen with stand (2 of them may be required). If a terminal room is provided only after the workshop ends (that is, only during the tutorials and conference), then the space and PCs that were used for one of the workshop classrooms can be re-used for the terminal room. If the terminal room is also provided during the workshop, then it will require a separate room and additional equipment. at least one person on duty at all times the room is open, to assist users and to keep an eye on the equipment. All rooms (i.e. classrooms/labs, NOC and Office) must be lockable. Each room should have two keys available for use by instructors or AfNOG staff. Keys must be available from the beginning of setup week. In view of the value of the specialised equipment, it is desirable for the area to be patrolled by security guards. It is preferred that the accommodation, the classroom facilities for the workshop and tutorials, and the meeting room for the conference, all be provided at the same location. Hotel capacity must be sufficient to accommodate workshop participants, instructors and staff (a maximum of 130 people). the meeting/conference part of the event a 3-4 stars hotel is requested. Workshop participants will share rooms (2 per room); the shared rooms must have separate beds. The hotel should provide the menu of the lunch and dinner way in advance for discussion and agreement. The menu should have variety of food including special food for vegetarians. Additional hotel capacity to accommodate conference attendees is essential. The expected total number of staff, workshop participants and conference attendees is expected to be around 200. It is imperative that a contract be signed with the hotel / conference venue and any supplier well in advance of the start of the event. In some cases the contracts shall be signed between the supplier and the local host representing AfNOG and AfriNIC. The different parties must have a copy of the signed agreement. The contract negotiation should be done in cooperation with AfriNIC and AfNOG meeting coordinators. Coordinating the reservation, booking and issuance of air tickets to AfNOG organisers, instructors and students. Visit hotels or conference centres in the selected city well in advance of the conference and recommend a meeting location to AfNOG & AfriNIC. The names of the locations should be included in the proposal sent as well as the costs. Assist AfNOG organisers and AfriNIC staff to consult or visit the hotel and make the final site selection. Provide logistical support during the meeting, including staffing for the registration desk, meeting room setup, interaction with hotel staff, etc. Handle Internet connectivity to the hotel or conference centre. Handle all terminal room operations (if there is a terminal room); obtain equipment, set up and tear down the room, and have staff available to answer attendees questions. Local hosts sometimes rent the needed workstations and routers, or borrow them from a local university or other organisation. Vendors may also help defray terminal room costs installation of Ethernet cabling, power strips, ensuring that the room has adequate power. Seek local sponsors for the event; i.e. sending of letters and making follow-ups with the required organisations. The local host should not request for sponsorship without informing the meeting organisers beforehand. AfNOG organises Opening Dinner on the Sunday before the Workshop for Workshop Participants, Instructors, Staff, Local Host and local sponsors. We will seek the assistance of the Local Host to identity suitable venue for the event for 100 to 130 people. AfriNIC organise a social event the first day of it meeting. The local host will help identify the venue and arrange for the social event for all delegates (100-150). The social event can be sponsored in part or in total by one of the sponsors. Local transportation; shuttle hire, vehicle rentals, fuel expenses, etc. Printing of T-shirts, caps, pens and other "take away" items. The local host should inform the meeting organisers well in advance in the event that a VIP will be giving a speech. The details about the souvenirs must be communicated to the organisers (AfNOG and AfriNIC), at least two months in advance. The AfNOG workshop, tutorials, conference and AfriNIC meeting are non-commercial, technical, education, collaboration and community oriented activities. It is therefore expected that the local host will refrain from using the hosting opportunity for commercial purposes. This also applies to supporting/sponsoring vendors. Any use of the event for advertising or marketing by sponsors must be approved in advance by the AfNOG Administration and AfriNIC management, and must not detract from the non-commercial atmosphere. For example, having a sponsor's logo on pens or writing pads would probably be permitted, while having an exhibition of a sponsor's equipment would probably not be permitted. Minimum level is however acceptable and can be discussed further. The final selection of the host country/organisation will be made by the AfNOG Convenors and AfriNIC Management, whose decision is final. Preference will be given to countries where the impact of a local AfNOG workshop and AfriNIC meeting would be greatest. Preference will also be given to regions other than the immediately previous hosting location. Strong preference will be given to hosts that are familiar with the AfNOG workshop requirements (through having participated in previous AfNOG/AfriNIC workshop events). It is expected that after assessment of the hosting proposal by the AfNOG and AfriNIC Management team, there will be signing of an MoU between AfNOG and the hosting organisations) which clearly outlines the roles and responsibilities of each party. Samples of the budget and Excel Worksheet are available.